As I’ve mentioned before, I really like blue cheese dressing but my blood pressure does not. I apologize if this recipe title is deceiving, but most dressings usually are. They are usually higher in calories and sodium than we think. I wanted to create a mock blue cheese dip and this was as close as I could get. It definitely looks like blue cheese dressing, but don’t expect it to taste like it. Mmmmm K? I still think it tastes great, but it’s definitely not like blue cheese. 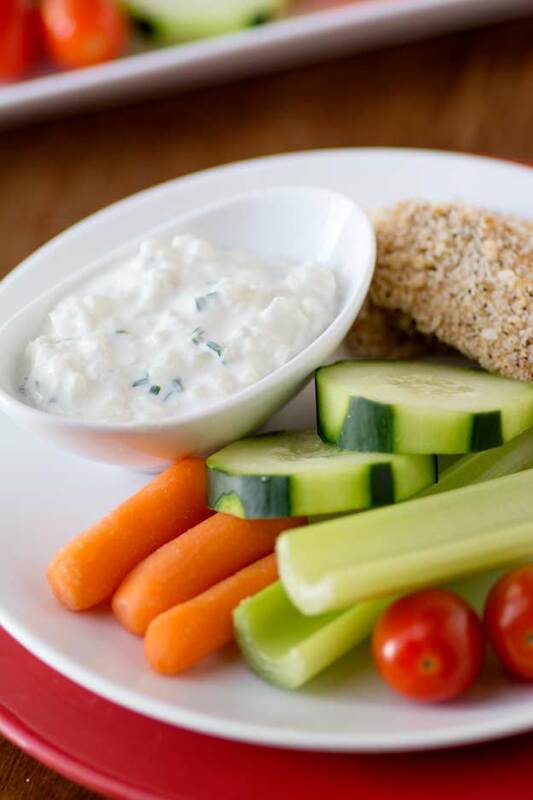 This dip goes perfectly with my Panko Chicken Tenders. Find the recipe and full story about this combo HERE. Cover 1 cup cauliflower with water in a microwave safe dish. Microwave for 5 minutes. Remove cauliflower from water and let cool. Once cauliflower is cooled, chop into small chunks. Combine yogurt, worcestershire, black pepper, salt and parmesan cheese. 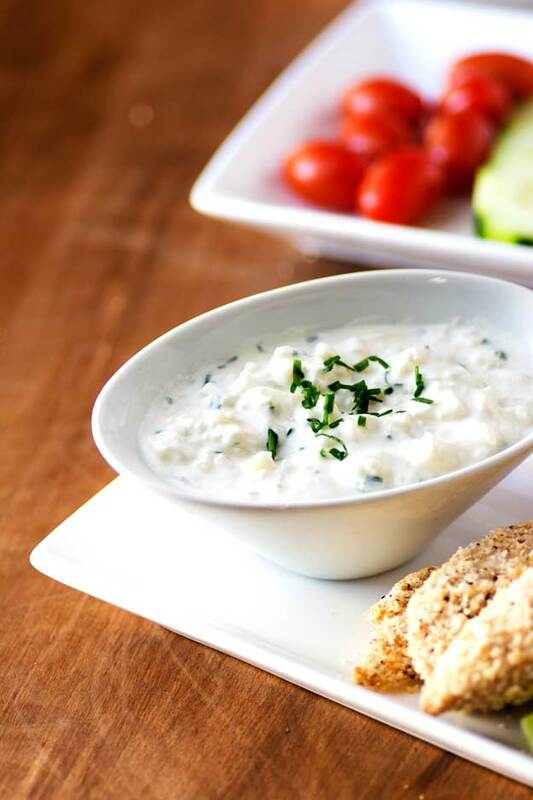 Add cooked cauliflower chunks to yogurt mixture and carefully fold in chives. Nutrition facts are for the entire batch.